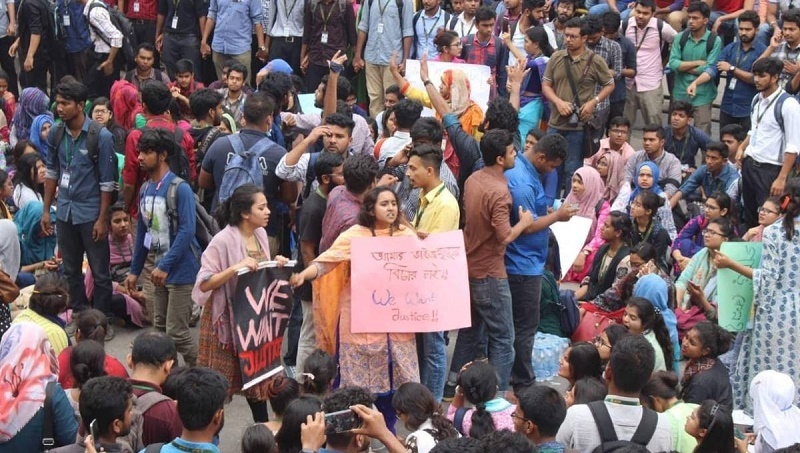 Students of private universities demonstrated in front of Jamuna Future Park to force the authorities accept their demands, including maximum punishment of the bus driver who killed Abrar on Tuesday. Demonstration was also reported at Shahbagh, Farmgate, Progati Sarani, Ray Shaheb Bazar area. Abrar, son of Brig Gen (retd) Arif Ahmed Chowdhury, died after being run over by ‘Suprovat Paribahan’ bus in Nodda area at around 7:15am on Tuesday.